With April in full swing, software developers are keeping busy releasing new titles ranging from having unique and high tech features, to those that are much more traditional without any bells or whistles. A few of these really swing to the extremes of the spectrum so read on to find out which will appeal to you the most. Mayan themed Contact Slots by Play’n GO is a new video slot release with a unique set of reels that will excite some and blow others away. It’s not often that we see this type of innovation in casino software development so it really is something to sit up and pay attention to. Instead of using traditional paylines the symbols are displayed in the screen in clusters, cascading and dropping down until new groupings are formed. Winning combinations are formed when there are 5 matching symbols in a cluster. This isn’t the first time they’ve released a title with this ground-breaking system, with others having similar features like Gemix and Viking Runcraft. The bonus rounds are also dependent on this fascinating design, which constantly keeps the excitement coming for the entire duration of your session. Triggering a special feature depends on where winning clustered are located on the screen, and a “Super Bonus Round” fills the entire clustered grid with symbols that generate wins. In addition to those great improvements players will also encounter “symbol upgrades”, an “extra spin feature”, or “Block Destroyer” capability, which is a multiplier that increases the win potential up to 30 times. 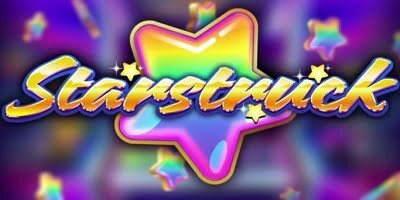 If all of that sounds like too much to keep track of, you can travel back in time to the early 1990’s with Starstruck Slots from software developer NoLimit City. It’s a colorful, explosive new machine with an old school layout and a basic 3×3 grid that packs some punch while also keeping things simple. It’s a great option for anyone looking for great graphics, a punchy soundtrack, and a bit of excitement that’s not overly-complicated. Check out these and other new games at Trada Casino today and capitalize on some of their great welcome offers that will boost your bankroll big time.